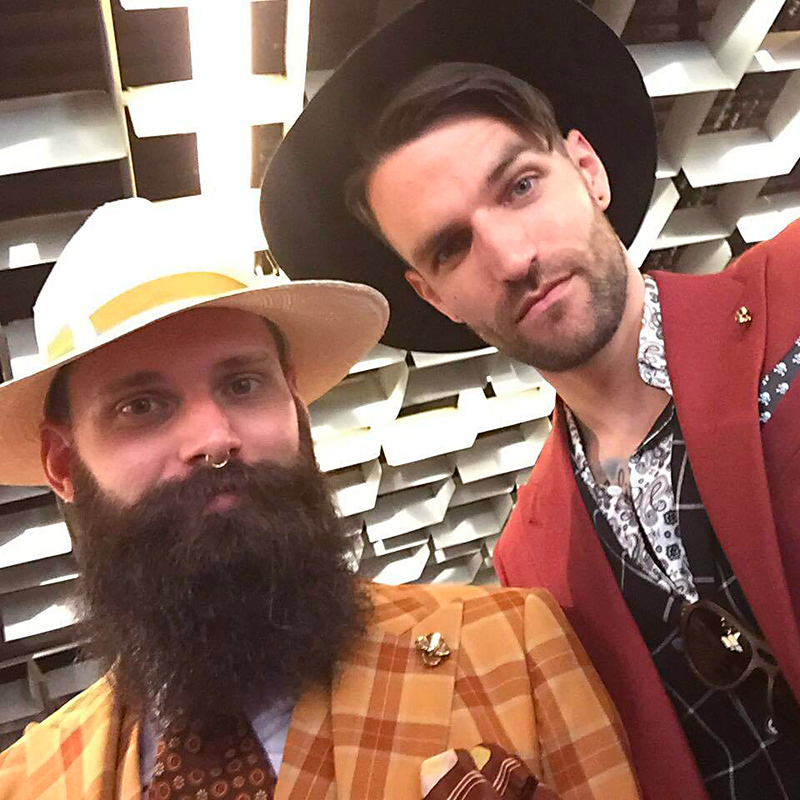 Journal / Charles and Chris, the Cool Kids of Pitti Uomo! Charles and Chris, the Cool Kids of Pitti Uomo! On a sunnier second day, Chris and Charles ventured out once again to strut their stuff on what Charles called “an enormous site with more than 1,000 exhibitors” in fabulous Florence. Having arrived earlier than the day before, our intrepid ambassadors surprised photographers, who responded by taking a barrage of photos. 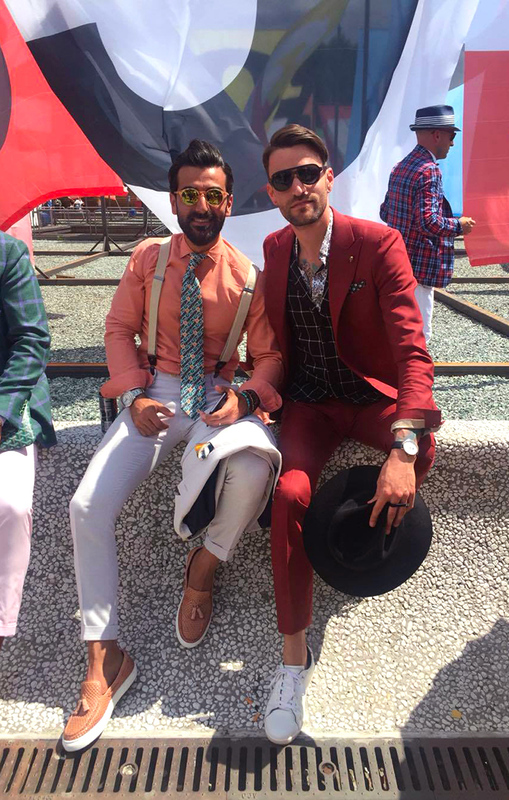 Chris and Charles have certainly been turning heads: yesterday’s now infamous photo on the wall, with Chris’s sorbet and Kish’s awesome accessories, was one of the most viewed photos of the day and is among the top posts under #PittiUomo. Thanks to The New York Times Fashion for the great visibility! The lads also got to rub elbows with the crème de la crème of the Pitti scene when they stopped for a drink at the renowned Caffe Gilli, where they got to build on the relationships that had been sparked the day before. They are now members of the proud fraternity of cool kids who have had their picture taken with the Portuguese Dandys, Turkish blogger Melik Kam and the gentleman who runs the Le Loire en Papillon blog in the same day. But let’s talk about what’s really drawing attention: their suits! Charles was decked out in an orange three-piece while Chris opted for a three-piece in red and black. These were their power suits, and the photographers, both amateur and professional, rewarded their efforts in a flash. 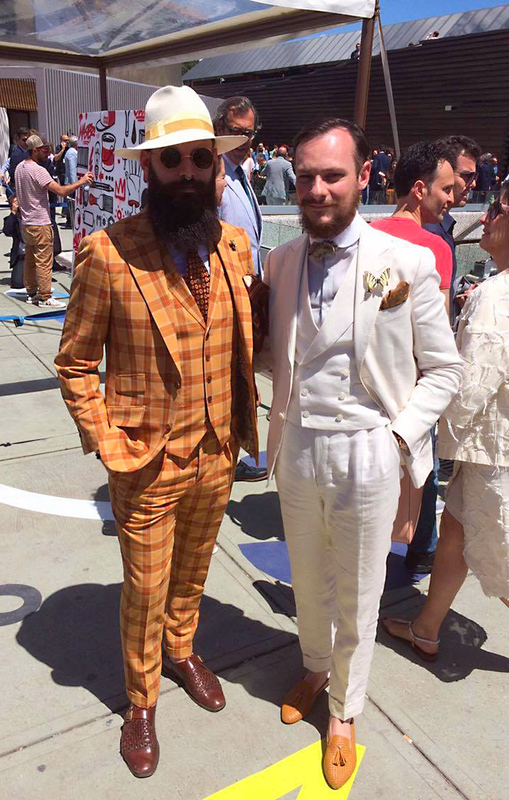 According to some witnesses, they are among the most photographed at Pitti Uomo! 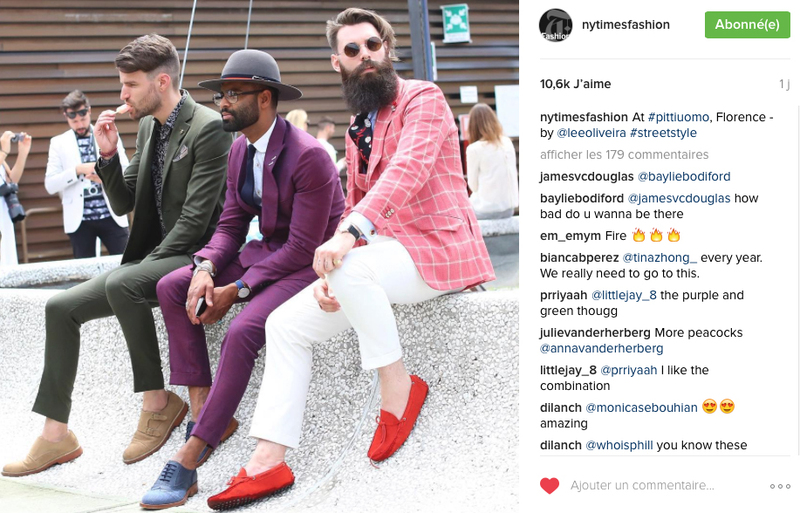 As proof, our dapper duo appears on the accounts of close to 30 Pitti photographers, bloggers and influencers! After a successful “test” day, and with good weather and great suits on their side, the gentlemen of Surmesur had their mojo on. Join us tomorrow for a third day at Pitti Uomo, where fashion reigns, rain or shine.